Icebreaker Questions – Biggest List EVER! According to cognitive dissonance theory, there is a tendency for individuals to seek consistency among their cognitions (i.e., beliefs, opinions). When there is an inconsistency between attitudes or behaviors (dissonance), something must change to eliminate the dissonance. In the case of a discrepancy between attitudes and behavior, it is most likely that the attitude will change to accommodate the behavior. Dissonance theory applies to all situations involving attitude formation and change. It is especially relevant to decision-making and problem-solving. Consider someone who buys an expensive car but discovers that it is not comfortable on long drives. Dissonance exists between their beliefs that they have bought a good car and that a good car should be comfortable. Dissonance could be eliminated by deciding that it does not matter since the car is mainly used for short trips (reducing the importance of the dissonant belief) or focusing on the cars strengths such as safety, appearance, handling (thereby adding more consonant beliefs). The dissonance could also be eliminated by getting rid of the car, but this behavior is a lot harder to achieve than changing beliefs. Dissonance results when an individual must choose between attitudes and behaviors that are contradictory. Dissonance can be eliminated by reducing the importance of the conflicting beliefs, acquiring new beliefs that change the balance, or removing the conflicting attitude or behavior. Brehm, J. & Cohen, A. (1962). Explorations in Cognitive Dissonance. New York: Wiley. Festinger, L. & Carlsmith, J.M. (1959). Cognitive Consquences of Forced Compliance. Journal of Abnormal and Social Psychology, 58, 203-210. Wickland, R. & Brehm, J. (1976). Perspectives on Cognitive Dissonance. NY: Halsted Press. As far as instruction is concerned, the instructor should try and encourage students to discover principles by themselves. The instructor and student should engage in an active dialog (i.e., socratic learning). The task of the instructor is to translate information to be learned into a format appropriate to the learner’s current state of understanding. Curriculum should be organized in a spiral manner so that the student continually builds upon what they have already learned. In his more recent work, Bruner (1986, 1990, 1996) has expanded his theoretical framework to encompass the social and cultural aspects of learning as well as the practice of law. Bruner’s constructivist theory is a general framework for instruction based upon the study of cognition. Much of the theory is linked to child development research (especially Piaget ). The ideas outlined in Bruner (1960) originated from a conference focused on science and math learning. Bruner illustrated his theory in the context of mathematics and social science programs for young children (see Bruner, 1973). The original development of the framework for reasoning processes is described in Bruner, Goodnow & Austin (1951). Bruner (1983) focuses on language learning in young children. Note that Constructivism is a very broad conceptual framework in philosophy and science and Bruner’s theory represents one particular perspective. The social learning theory of Bandura emphasizes the importance of observing and modeling the behaviors, attitudes, and emotional reactions of others. Bandura (1977) states: “Learning would be exceedingly laborious, not to mention hazardous, if people had to rely solely on the effects of their own actions to inform them what to do. Fortunately, most human behavior is learned observationally through modeling: from observing others one forms an idea of how new behaviors are performed, and on later occasions this coded information serves as a guide for action.” (p22). Social learning theory explains human behavior in terms of continuous reciprocal interaction between cognitive, behavioral, an environmental influences. The component processes underlying observational learning are: (1) Attention, including modeled events (distinctiveness, affective valence, complexity, prevalence, functional value) and observer characteristics (sensory capacities, arousal level, perceptual set, past reinforcement), (2) Retention, including symbolic coding, cognitive organization, symbolic rehearsal, motor rehearsal), (3) Motor Reproduction, including physical capabilities, self-observation of reproduction, accuracy of feedback, and (4) Motivation, including external, vicarious and self reinforcement. Because it encompasses attention, memory and motivation, social learning theory spans both cognitive and behavioral frameworks. Bandura’s theory improves upon the strictly behavioral interpretation of modeling provided by Miller & Dollard (1941). Bandura’s work is related to the theories of Vygotsky and Lave which also emphasize the central role of social learning. Social learning theory has been applied extensively to the understanding of aggression (Bandura, 1973) and psychological disorders, particularly in the context of behavior modification (Bandura, 1969). It is also the theoretical foundation for the technique of behavior modeling which is widely used in training programs. 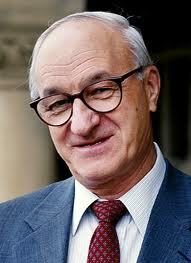 In recent years, Bandura has focused his work on the concept of self-efficacy in a variety of contexts (e.g., Bandura, 1997). The most common (and pervasive) examples of social learning situations are television commercials. Commercials suggest that drinking a certain beverage or using a particular hair shampoo will make us popular and win the admiration of attractive people. Depending upon the component processes involved (such as attention or motivation), we may model the behavior shown in the commercial and buy the product being advertised. The highest level of observational learning is achieved by first organizing and rehearsing the modeled behavior symbolically and then enacting it overtly. Coding modeled behavior into words, labels or images results in better retention than simply observing. Individuals are more likely to adopt a modeled behavior if it results in outcomes they value. Individuals are more likely to adopt a modeled behavior if the model is similar to the observer and has admired status and the behavior has functional value. The major theme of Vygotsky’s theoretical framework is that social interaction plays a fundamental role in the development of cognition. Vygotsky (1978) states: “Every function in the child’s cultural development appears twice: first, on the social level, and later, on the individual level; first, between people (interpsychological) and then inside the child (intrapsychological). This applies equally to voluntary attention, to logical memory, and to the formation of concepts. All the higher functions originate as actual relationships between individuals.” (p57). A second aspect of Vygotsky’s theory is the idea that the potential for cognitive development depends upon the “zone of proximal development” (ZPD): a level of development attained when children engage in social behavior. Full development of the ZPD depends upon full social interaction. The range of skill that can be developed with adult guidance or peer collaboration exceeds what can be attained alone. 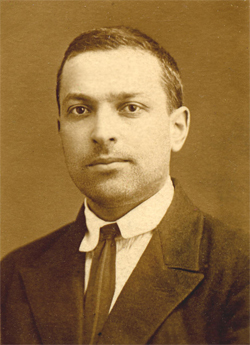 Vygotsky’s theory was an attempt to explain consciousness as the end product of socialization. For example, in the learning of language, our first utterances with peers or adults are for the purpose of communication but once mastered they become internalized and allow “inner speech”. Vygotsky’s theory is complementary to the work of Bandura on social learning and a key component of situated learning theory. Because Vygotsky’s focus was on cognitive development, it is interesting to compare his views with those of Bruner and Piaget . This is a general theory of cognitive development. Most of the original work was done in the context of language learning in children (Vygotsky, 1962), although later applications of the framework have been broader (see Wertsch, 1985). Vygotsky (1978, p56) provides the example of pointing a finger. Initially, this behavior begins as a meaningless grasping motion; however, as people react to the gesture, it becomes a movement that has meaning. In particular, the pointing gesture represents an interpersonal connection between individuals. Full cognitive development requires social interaction. Wertsch, J.V. (1985). Cultural, Communication, and Cognition: Vygotskian Perspectives. Cambridge University Press. The Conversation Theory developed by G. Pask originated from a cybernetics framework and attempts to explain learning in both living organisms and machines. The fundamental idea of the theory was that learning occurs through conversations about a subject matter which serve to make knowledge explicit. Conversations can be conducted at a number of different levels: natural language (general discussion), object languages (for discussing the subject matter), and metalanguages (for talking about learning/language). In order to facilitate learning, Pask argued that subject matter should be represented in the form of entailment structures which show what is to be learned. Entailment structures exist in a variety of different levels depending upon the extent of relationships displayed (e.g., super/subordinate concepts, analogies). The critical method of learning according to conversation theory is “teachback” in which one person teaches another what they have learned. Pask identified two different types of learning strategies: serialists who progress through an entailment structure in a sequential fashion and holists who look for higher order relations. Conversation theory applies to the learning of any subject matter. Pask (1975) provides an extensive discussion of the theory applied to the learning of statistics (probability). Pask (1975, Chapter 9) discusses the application of conversation theory to a medical diagnosis task (diseases of the thyroid). In this case, the entailment structure represents relationships between pathological conditions of the thyroid and treatment/tests. The student is encouraged to learn these relationships by changing the parameter values of a variable (e.g., iodine intake level) and investigating the effects. To learn a subject matter, students must learn the relationships among the concepts. Explicit explanation or manipulation of the subject matter facilitates understanding (e.g., use of teachback technique). Individual’s differ in their preferred manner of learning relationships (serialists versus holists). 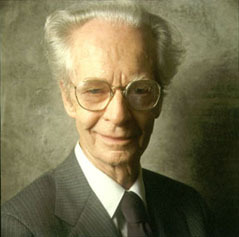 The theory of B.F. Skinner is based upon the idea that learning is a function of change in overt behavior. Changes in behavior are the result of an individual’s response to events (stimuli) that occur in the environment. A response produces a consequence such as defining a word, hitting a ball, or solving a math problem. When a particular Stimulus-Response (S-R) pattern is reinforced (rewarded), the individual is conditioned to respond. The distinctive characteristic of operant conditioning relative to previous forms of behaviorism (e.g., Thorndike, Hull) is that the organism can emit responses instead of only eliciting response due to an external stimulus. Reinforcement is the key element in Skinner’s S-R theory. A reinforcer is anything that strengthens the desired response. It could be verbal praise, a good grade or a feeling of increased accomplishment or satisfaction. The theory also covers negative reinforcers — any stimulus that results in the increased frequency of a response when it is withdrawn (different from adversive stimuli — punishment — which result in reduced responses). A great deal of attention was given to schedules of reinforcement (e.g. interval versus ratio) and their effects on establishing and maintaining behavior. One of the distinctive aspects of Skinner’s theory is that it attempted to provide behavioral explanations for a broad range of cognitive phenomena. For example, Skinner explained drive (motivation) in terms of deprivation and reinforcement schedules. Skinner (1957) tried to account for verbal learning and language within the operant conditioning paradigm, although this effort was strongly rejected by linguists and psycholinguists. Skinner (1971) deals with the issue of free will and social control. Operant conditioning has been widely applied in clinical settings (i.e., behavior modification) as well as teaching (i.e., classroom management) and instructional development (e.g., programmed instruction). Parenthetically, it should be noted that Skinner rejected the idea of theories of learning (see Skinner, 1950). Ensure that good performance in the lesson is paired with secondary reinforcers such as verbal praise, prizes and good grades. Markle, S. (1969). Good Frames and Bad (2nd ed.). New York: Wiley. 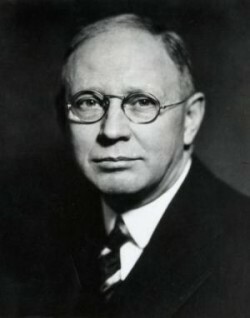 Skinner, B.F. (1957). Verbal Learning. New York: Appleton-Century-Crofts. Knowles’ theory of andragogy is an attempt to develop a theory specifically for adult learning. Knowles emphasizes that adults are self-directed and expect to take responsibility for decisions. Adult learning programs must accommodate this fundamental aspect. Andragogy makes the following assumptions about the design of learning: (1) Adults need to know why they need to learn something (2) Adults need to learn experientially, (3) Adults approach learning as problem-solving, and (4) Adults learn best when the topic is of immediate value. Andragogy applies to any form of adult learning and has been used extensively in the design of organizational training programs (especially for “soft skill” domains such as management development). Instruction should be task-oriented instead of memorization — learning activities should be in the context of common tasks to be performed. Instruction should take into account the wide range of different backgrounds of learners; learning materials and activities should allow for different levels/types of previous experience with computers. Since adults are self-directed, instruction should allow learners to discover things for themselves, providing guidance and help when mistakes are made. Other researchers have further developed the theory of situated learning. Brown, Collins & Duguid (1989) emphasize the idea of cognitive apprenticeship: “Cognitive apprenticeship supports learning in a domain by enabling students to acquire, develop and use cognitive tools in authentic domain activity. Learning, both outside and inside school, advances through collaborative social interaction and the social construction of knowledge.” Brown et al. also emphasize the need for a new epistemology for learning — one that emphasizes active perception over concepts and representation. Suchman (1988) explores the situated learning framework in the context of artificial intelligence. Situated learning has antecedents in the work of Gibson (theory of affordances) and Vygotsky (social learning). In addition, the theory of Schoenfeld on mathematical problem solving embodies some of the critical elements of situated learning framework. Situated learning is a general theory of knowledge acquisition . It has been applied in the context of technology-based learning activities for schools that focus on problem-solving skills (Cognition & Technology Group at Vanderbilt, 1993). 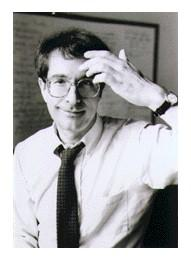 McLellan (1995) provides a collection of articles that describe various perspectives on the theory. Lave & Wenger (1991) provide an analysis of situated learning in five different settings: Yucatec midwives, native tailors, navy quartermasters, meat cutters and alcoholics. In all cases, there was a gradual acquisition of knowledge and skills as novices learned from experts in the context of everyday activities. Knowledge needs to be presented in an authentic context, i.e., settings and applications that would normally involve that knowledge. Learning requires social interaction and collaboration. Cognition & Technology Group at Vanderbilt (March 1993). Anchored instruction and situated cognition revisited. Educational Technology, 33(3), 52-70. McLellan, H. (1995). Situated Learning Perspectives. Englewood Cliffs, NJ: Educational Technology Publications. Over a period of six decades, Jean Piaget conducted a program of naturalistic research that has profoundly affected our understanding of child development. Piaget called his general theoretical framework “genetic epistemology” because he was primarily interested in how knowledge developed in human organisms. Piaget had a background in both Biology and Philosophy and concepts from both these disciplines influences his theories and research of child development. The concept of cognitive structure is central to his theory. Cognitive structures are patterns of physical or mental action that underlie specific acts of intelligence and correspond to stages of child development. There are four primary cognitive structures (i.e., development stages) according to Piaget: sensorimotor, preoperations, concrete operations, and formal operations. In the sensorimotor stage (0-2 years), intelligence takes the form of motor actions. Intelligence in the preoperation period (3-7 years) is intutive in nature. The cognitive structure during the concrete operational stage (8-11 years) is logical but depends upon concrete referents. In the final stage of formal operations (12-15 years), thinking involves abstractions. Cognitive structures change through the processes of adaptation: assimilation and accommodation. Assimilation involves the interpretation of events in terms of existing cognitive structure whereas accommodation refers to changing the cognitive structure to make sense of the environment. Cognitive development consists of a constant effort to adapt to the environment in terms of assimilation and accommodation. In this sense, Piaget’s theory is similar in nature to other constructivist perspectives of learning (e.g., Bruner, Vygotsky). While the stages of cognitive development identified by Piaget are associated with characteristic age spans, they vary for every individual. Furthermore, each stage has many detailed structural forms. For example, the concrete operational period has more than forty distinct structures covering classification and relations, spatial relationships, time, movement, chance, number, conservation and measurement. Similar detailed analysis of intellectual functions is provided by theories of intelligence such as Guilford, Gardner, and Sternberg. Piaget explored the implications of his theory to all aspects of cognition, intelligence and moral development. Many of Piaget’s experiments were focused on the development of mathematical and logical concepts. The theory has been applied extensively to teaching practice and curriculum design in elementary education (e.g., Bybee & Sund, 1982; Wadsworth, 1978). Piaget’s ideas have been very influential on others, such as Seymour Papert . Applying Piaget’s theory results in specific recommendations for a given stage of cognitive development. For example, with children in the sensorimotor stage, teachers should try to provide a rich and stimulating environment with ample objects to play with. On the other hand, with children in the concrete operational stage, learning activities should involve problems of classification, ordering, location, conservation using concrete objects. Children will provide different explanations of reality at different stages of cognitive development. Cognitive development is facilitated by providing activities or situations that engage learners and require adaptation (i.e., assimilation and accomodation). Learning materials and activities should involve the appropriate level of motor or mental operations for a child of given age; avoid asking students to perform tasks that are beyond their currrent cognitive capabilities. Use teaching methods that actively involve students and present challenges. Brainerd, C. (1978). Piaget’s Theory of Intelligence. Englewood Cliffs, NJ: Prentice-Hall. Bybee, R.W. & Sund, R.B. (1982). Piaget for Educators (2nd Ed). Columbus, OH: Charles Merrill. Flavell, J. H. (1963). The Developmental Psychology of Jean Piaget. NY: Van Nostrand Reinhold. Gallagher, J.M. & Reid, D.K. (1981). The Learning Theory of Piaget and Inhelder. Monterey, CA: Brooks/Cole. Piaget, J. (1932). The Moral Judgement of the Child. NY: Harcourt, Brace Jovanovich. Paiget, J. (1970). The Science of Education amd the Psychology of the Child. NY: Grossman. Piaget, J. & Inhelder, B. (1969). The Psychology of the Child. NY: Basic Books. Piaget, J. & Inhelder, B. (1973). Memory and intelligence. NY: Basic Books. Wadsworth, B. (1978). Piaget for the Classroom Teacher. NY: Longman. Ausubel’s theory is concerned with how individuals learn large amounts of meaningful material from verbal/textual presentations in a school setting (in contrast to theories developed in the context of laboratory experiments). According toAusubel, learning is based upon the kinds of superordinate, representational, and combinatorial processes that occur during the reception of information. A primary process in learning is subsumption in which new material is related to relevant ideas in the existing cognitive structure on a substantive, non-verbatim basis. Cognitive structures represent the residue of all learning experiences; forgetting occurs because certain details get integrated and lose their individual identity. “These organizers are introduced in advance of learning itself, and are also presented at a higher level of abstraction, generality, and inclusiveness; and since the substantive content of a given organizer or series of organizers is selected on the basis of its suitability for explaining, integrating, and interrelating the material they precede, this strategy simultaneously satisfies the substantive as well as the programming criteria for enhancing the organization strength of cognitive structure.” (1963 , p. 81). Ausubel emphasizes that advance organizers are different from overviews and summaries which simply emphasize key ideas and are presented at the same level of abstraction and generality as the rest of the material. Organizers act as a subsuming bridge between new learning material and existing related ideas. Ausubel’s theory has commonalities with Gestalt theories and those that involve schema (e.g., Bartlett) as a central principle. There are also similarities with Bruner’s “spiral learning” model , although Ausubel emphasizes that subsumptioninvolves reorganization of existing cognitive structures not the development of new structures as constructivist theories suggest. Ausubel was apparently influenced by the work of Piaget on cognitive development. Ausubel clearly indicates that his theory applies only to reception (expository) learning in school settings. He distinguishes reception learning from rote and discovery learning; the former because it doesn’t involve subsumption (i.e., meaningful materials) and the latter because the learner must discover information through problem solving. A large number of studies have been conducted on the effects of advance organizers in learning (see Ausubel, 1968, 1978). Ausubel (1963, p. 80) cites Boyd’s textbook of pathology as an example of progressive differentiation because the book presents information according to general processes (e.g., inflammation, degeneration) rather than by describing organ systems in isolation. He also cites the Physical Science Study Committee curriculum which organizes material according to the major ideas of physics instead of piece-meal discussion of principle or phenomenon (p. 78). The most general ideas of a subject should be presented first and then progressively differentiated in terms of detail and specificity. Instructional materials should attempt to integrate new material with previously presented information through comparisons and cross-referencing of new and old ideas. Component Display Theory (CDT) classifies learning along two dimensions: content (facts, concepts, procedures, and principles) and performance (remembering, using, generalities). The theory specifies four primary presentation forms: rules (expository presentation of a generality), examples (expository presentation of instances), recall (inquisitory generality) and practice (inquisitory instance). Secondary presentation forms include: prerequisites, objectives, helps, mnemonics, and feedback. The theory specifies that instruction is more effective to the extent that it contains all necessary primary and secondary forms. Thus, a complete lesson would consist of objective followed by some combination of rules, examples, recall, practice, feedback, helps and mnemonics appropriate to the subject matter and learning task. 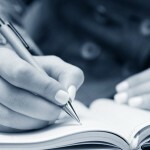 Indeed, the theory suggests that for a given objective and learner, there is a unique combination of presentation forms that results in the most effective learning experience. Merrill (1983) explains the assumptions about cognition that underlie CDT. While acknowledging a number of different types of memory, Merrill claims that associative and algorithmic memory structures are directly related to the performance components of Remember and Use/Find respectively. Associative memory is a hierarchial network structure; algorithmic memory consists of schema or rules. The distinction between Use and Find performances in algorithmic memory is the use of existing schema to process input versus creating a new schema through reorganization of existing rules. A significant aspect of the CDT framework is learner control, i.e., the idea that learners can select their own instructional strategies in terms of content and presentation components. In this sense, instruction designed according to CDT provides a high degree of individualization since students can adapt learning to meet their own preferences and styles. CDT specifies how to design instruction for any cognitive domain. CDT provided the basis for the lesson design in the TICCIT computer based learning system (Merrill, 1980). It also was the basis for the Instructional Quality Profile, a quality control tool for instructional materials (Merrill, Reigeluth & Faust, 1979). If the generality was presented by an explanation or illustration, followed by practice examples, this would be an expository strategy (EG,Eeg). On the other hand, if the students were required to discover the generality on the basis of practice examples, this would be an inquisitory strategy (IG, Ieg). Instruction will be more effective if all three primary performance forms (remember, use, generality) are present. The sequence of primary forms is not critical provided they are all present. 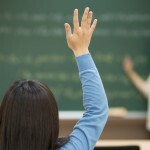 Students should be given control over the number of instances or practice items they receive. Li, Z. & Merrill, M.D. (1991). ID Expert 2.0: Design theory and process. Educational Technology Research & Development, 39(2), 53-69. Merrill, M.D. (1980). Learner control in computer based learning. Computers and Education, 4, 77-95. Merrill, M.D. (1983). Component Display Theory. In C. Reigeluth (ed. ), Instructional Design Theories and Models. Hillsdale, NJ: Erlbaum Associates. Merrill, M.D. (1987). A lesson based upon Component Display Theory. In C. Reigeluth (ed. ), Instructional Design Theories in Action. Hillsdale, NJ: Erlbaum Associates. Merrill, M.D., Li, Z. & Jones, M. (1991). Instructional transaction theory: An introduction. Educational Technology, 31(6), 7-12. Merrill, M.D., Reigeluth, C., & Faust, G. (1979). The instructional quality profile: Curriculum evaluation and design tool. In H. O’Neil (ed. ), Procedures for Instructional Systems Development. New York: Academic Press. Rogers distinguished two types of learning: cognitive (meaningless) and experiential (significant). The former corresponds to academic knowledge such as learning vocabulary or multiplication tables and the latter refers to applied knowledge such as learning about engines in order to repair a car. The key to the distinction is that experiential learning addresses the needs and wants of the learner. Rogers lists these qualities of experiential learning: personal involvement, self-initiated, evaluated by learner, and pervasive effects on learner. According to Rogers, learning is facilitated when: (1) the student participates completely in the learning process and has control over its nature and direction, (2) it is primarily based upon direct confrontation with practical, social, personal or research problems, and (3) self-evaluation is the principal method of assessing progress or success. Rogers also emphasizes the importance of learning to learn and an openness to change. Roger’s theory of learning evolved as part of the humanistic education movement (e.g., Patterson, 1973; Valett, 1977). Roger’s theory of learning originates from his views about psychotherapy and humanistic approach to psychology. It applies primarily to adult learners and has influenced other theories of adult learning such as Knowles and Cross. Combs (1982) examines the significance of Roger’s work to education. Rogers & Frieberg (1994) discuss applications of the experiential learning framework to the classroom. A person interested in becoming rich might seek out books or classes on ecomomics, investment, great financiers, banking, etc. Such an individual would perceive (and learn) any information provided on this subject in a much different fashion than a person who is assigned a reading or class. Self-initiated learning is the most lasting and pervasive. Combs, A.W. (1982). Affective education or none at all. Educational Leadership, 39(7), 494-497. Patterson, C.H. (1973). Humanistic Education. Engelwood Cliffs, NJ: Prentice-Hall. Valett, R.E. (1977). Humanistic Education. St Louis, MO: Mosby. In Guilford’s Structure of Intellect (SI) theory, intelligence is viewed as comprising operations, contents, and products. There are 5 kinds of operations (cognition, memory, divergent production, convergent production, evaluation), 6 kinds of products (units, classes, relations, systems, transformations, and implications), and 5 kinds of contents (visual, auditory, symbolic, semantic, behavioral). Since each of these dimensions is independent, there are theoretically 150 different components of intelligence. Guilford researched and developed a wide variety of psychometric tests to measure the specific abilities predicted by SI theory. These tests provide an operational definition of the many abilities proposed by the theory. Furthermore, factor analysis was used to determine which tests appeared to measure the same or different abilities. Parenthetically, it is interesting to note that a major impetus for Guilford’s theory was his interest in creativity (Guilford, 1950). The divergent production operation identifies a number of different types of creative abilities. SI theory is intended to be a general theory of human intelligence. Its major application (besides educational research) has been in personnel selection and placement. Meeker (1969) examines its application to education. The following example illustrates three closely related abilities that differ in terms of operation, content, and product. Evaluation of semantic units (EMU) is measured by the ideational fluency test in which individuals are asked to make judgements about concepts. For example: “Which of the following objects best satisfies the criteria, hard and round: an iron, a button, a tennis ball or a lightbulb? On the other hand, divergent production of semantic units (DMU) would require the person to list all items they can think of that are round and hard in a given time period. Divergent production of symbolic units (DSU) involves a different content category than DMU, namely words (e.g., “List all words that end in ‘tion’). Divergent production of semantic relations (DMR) would involve the generation of ideas based upon relationships. An example test item for this ability would be providing the missing word for the sentence: “The fog is as ____ as sponge” (e.g., heavy, damp, full). Reasoning and problem-solving skills (convergent and divergent operations) can be subdivided into 30 distinct abilities (6 products x 5 contents). Memory operations can be subdivided into 30 different skills (6 products x 5 contents). Decision-making skills (evaluation operations) can be subdivided into 30 distinct abilities (6 products x 5 contents). Language-related skills (cognitive operations) can be subdivided into 30 distinct abilities (6 products x 5 contents). Guilford, J.P. (1950). Creativity. American Psychologist, 5, 444-454. Guilford, J.P. (1982). Cognitive psychology’s ambiguities: Some suggested remedies. Psychological Review, 89, 48-59. 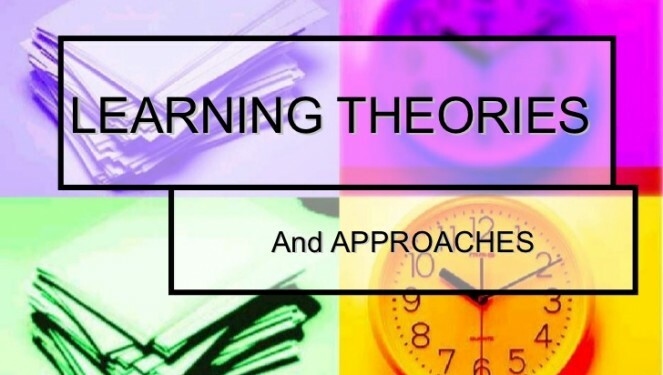 The learning theory of Thorndike represents the original S-R framework of behavioral psychology: Learning is the result of associations forming between stimuli and responses. Such associations or “habits” become strengthened or weakened by the nature and frequency of the S-R pairings. The paradigm for S-R theory was trial and error learning in which certain responses come to dominate others due to rewards. The hallmark of connectionism (like all behavioral theory) was that learning could be adequately explained without refering to any unobservable internal states. Thorndike’s theory consists of three primary laws: (1) law of effect – responses to a situation which are followed by a rewarding state of affairs will be strengthened and become habitual responses to that situation, (2) law of readiness – a series of responses can be chained together to satisfy some goal which will result in annoyance if blocked, and (3) law of exercise – connections become strengthened with practice and weakened when practice is discontinued. A corollary of the law of effect was that responses that reduce the likelihood of achieving a rewarding state (i.e., punishments, failures) will decrease in strength. The theory suggests that transfer of learning depends upon the presence of identical elements in the original and new learning situations; i.e., transfer is always specific, never general. In later versions of the theory, the concept of “belongingness” was introduced; connections are more readily established if the person perceives that stimuli or responses go together (c.f. Gestalt principles). Another concept introduced was “polarity” which specifies that connections occur more easily in the direction in which they were originally formed than the opposite. 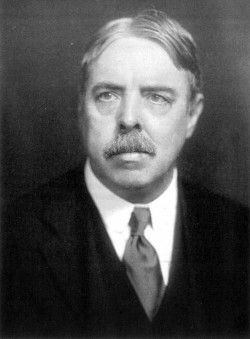 Thorndike also introduced the “spread of effect” idea, i.e., rewards affect not only the connection that produced them but temporally adjacent connections as well. Connectionism was meant to be a general theory of learning for animals and humans. 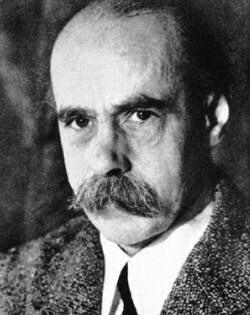 Thorndike was especially interested in the application of his theory to education including mathematics (Thorndike, 1922), spelling and reading (Thorndike, 1921), measurement of intelligence (Thorndike et al., 1927) and adult learning (Thorndike at al., 1928). The classic example of Thorndike’s S-R theory was a cat learning to escape from a “puzzle box” by pressing a lever inside the box. After much trial and error behavior, the cat learns to associate pressing the lever (S) with opening the door (R). This S-R connection is established because it results in a satisfying state of affairs (escape from the box). The law of exercise specifies that the connection was established because the S-R pairing occurred many times (the law of effect) and was rewarded (law of effect) as well as forming a single sequence (law of readiness). A series of S-R connections can be chained together if they belong to the same action sequence (law of readiness). Transfer of learning occurs because of previously encountered situations. Intelligence is a function of the number of connections learned. Thorndike, E. (1913). Educational Psychology: The Psychology of Learning. New York: Teachers College Press. Thorndike, E. (1921). The Teacher’s Word Book. New York: Teachers College. Thorndike, E. (1922). The Psychology of Arithmetic. New York: Macmillan. Thorndike, E. at al. (1927). The Measurement of Intelligence. New York: Teachers College Press. 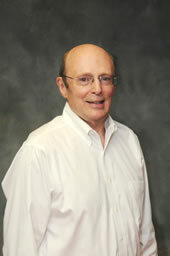 George A. Miller has provided two theoretical ideas that are fundamental to cognitive psychology and the information processing framework. The first concept is “chunking” and the capacity of short term memory. 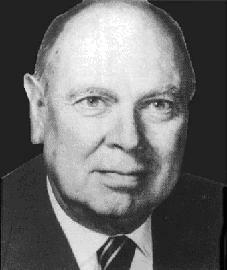 Miller (1956) presented the idea that short-term memory could only hold 5-9 chunks of information (seven plus or minus two) where a chunk is any meaningful unit. A chunk could refer to digits, words, chess positions, or people’s faces. The concept of chunking and the limited capacity of short term memory became a basic element of all subsequent theories of memory. The second concept is TOTE (Test-Operate-Test-Exit) proposed by Miller, Galanter & Pribram (1960). Miller et al. suggested that TOTE should replace the stimulus-response as the basic unit of behavior. In a TOTE unit, a goal is tested to see if it has been achieved and if not an operation is performed to achieve the goal; this cycle of test-operate is repeated until the goal is eventually achieved or abandoned. The TOTE concept provided the basis of many subsequent theories of problem solving (e.g., GPS) and production systems. Information processing theory has become a general theory of human cognition; the phenomenon of chunking has been verified at all levels of cognitive processing. The classic example of chunks is the ability to remember long sequences of binary numbers because they can be coded into decimal form. For example, the sequence 0010 1000 1001 1100 1101 1010 could easily be remembered as 2 8 9 C D A. Of course, this would only work for someone who can convert binary to hexadecimal numbers (i.e., the chunks are “meaningful”). The classic example of a TOTE is a plan for hammering a nail. The Exit Test is whether the nail is flush with the surface. If the nail sticks up, then the hammer is tested to see if it is up (otherwise it is raised) and the hammer is allowed to hit the nail. Short term memory (or attention span) is limited to seven chunks of information. Planning (in the form of TOTE units) is a fundamental cognitive process. Behavior is hierarchically organized (e.g., chunks, TOTE units). Miller, G.A., Galanter, E., & Pribram, K.H. (1960). Plans and the Structure of Behavior. New York: Holt, Rinehart & Winston. The contents of long term memory are “sophisticated structures that permit us to perceive, think, and solve problems,” rather than a group of rote learned facts. These structures, known as schemas, are what permit us to treat multiple elements as a single element. They are the cognitive structures that make up the knowledge base (Sweller, 1988). Schemas are acquired over a lifetime of learning, and may have other schemas contained within themselves. The difference between an expert and a novice is that a novice hasn’t acquired the schemas of an expert. Learning requires a change in the schematic structures of long term memory and is demonstrated by performance that progresses from clumsy, error-prone, slow and difficult to smooth and effortless. The change in performance occurs because as the learner becomes increasingly familiar with the material, the cognitive characteristics associated with the material are altered so that it can be handled more efficiently by working memory. From an instructional perspective, information contained in instructional material must first be processed by working memory. For schema acquisition to occur, instruction should be designed to reduce working memory load. Cognitive load theory is concerned with techniques for reducing working memory load in order to facilitate the changes in long term memory associated with schema acquisition. Sweller’s theories are best applied in the area of instructional design of cognitively complex or technically challenging material. His concentration is on the reasons that people have difficulty learning material of this nature. Cognitive load theory has many implications in the design of learning materials which must, if they are to be effective, keep cognitive load of learners at a minimum during the learning process. While in the past the theory has been applied primarily to technical areas, it is now being applied to more language-based discursive areas. In combining an illustration of blood flow through the heart with text and labels, the separation of the text from the illustration forces the learner to look back and forth between the specified parts of the illustration and the text. If the diagram is self-explanatory, research data indicates that processing the text unnecessarily increases working memory load. If the information could be replaced with numbered arrows in the labeled illustration, the learner could concentrate better on learning the content from the illustration alone. Alternatively, if the text is essential to intelligibility, placing it on the diagram rather than separated will reduce cognitive load associated with searching for relations between the text and the diagram (Sweller, 1999). The theory of multiple intelligences suggests that there are a number of distinct forms of intelligence that each individual possesses in varying degrees. Gardner proposes seven primary forms: linguistic, musical, logical-mathematical, spatial, body-kinesthetic, intrapersonal (e.g., insight, metacognition) and interpersonal (e.g., social skills). According to Gardner, the implication of the theory is that learning/teaching should focus on the particular intelligences of each person. For example, if an individual has strong spatial or musical intelligences, they should be encouraged to develop these abilities. Gardner points out that the different intelligences represent not only different content domains but also learning modalities. A further implication of the theory is that assessment of abilities should measure all forms of intelligence, not just linguistic and logical-mathematical. Gardner also emphasizes the cultural context of multiple intelligences. Each culture tends to emphasize particular intelligences. For example, Gardner (1983) discusses the high spatial abilities of the Puluwat people of the Caroline Islands, who use these skills to navigate their canoes in the ocean. Gardner also discusses the balance of personal intelligences required in Japanese society. The theory of multiple intelligences shares some common ideas with other theories of individual differences such as Cronbach & Snow, Guilford, and Sternberg . The theory of multiple intelligences has been focused mostly on child development although it applies to all ages. While there is no direct empirical support for the theory, Gardner (1983) presents evidence from many domains including biology, anthropology, and the creative arts and Gardner (1993a) discusses application of the theory to school programs. Gardner (1982, 1993b) explores the implications of the framework for creativity (see also Marks-Tarlow, 1995). Individuals should be encouraged to use their preferred intelligences in learning. Instructional activities should appeal to different forms of intelligence. Assessment of learning should measure multiple forms of intelligence. Gardner, H. (1982). Art, Mind and Brain. New York: Basic Books. Gardner, H. (1 993b). Creating Minds. NY: Basic Books. Marks-Tarlow, T. (1995). Creativity inside out: Learning through multiple intelligences. Reading, MA: Addison-Wesley. 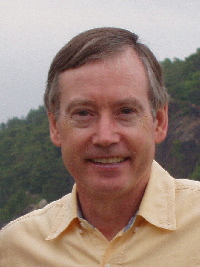 Hull developed a version of behaviorism in which the stimulus (S) affects the organism (O) and the resulting response (R) depends upon characteristics of both O and S. In other words, Hull was interested in studying intervening variables that affected behavior such as initial drive, incentives, inhibitors, and prior training (habit strength). Like other forms of behavior theory, reinforcement is the primary factor that determines learning. However, in Hull’s theory, drive reduction or need satisfaction plays a much more important role in behavior than in other frameworks (i.e., Thorndike, Skinner) . Hull’s theoretical framework consisted of many postulates stated in mathematical form; They include: (1) organisms possess a hierarchy of needs which are aroused under conditions of stimulation and drive, (2) habit strength increases with activities that are associated with primary or secondary reinforcement, (3) habit strength aroused by a stimulus other than the one originally conditioned depends upon the closeness of the second stimulus in terms of discrimination thresholds, (4) stimuli associated with the cessation of a response become conditioned inhibitors, (5) the more the effective reaction potential exceeds the reaction theshold, the shorter the latency of response. As these postulates indicate, Hull proposed many types of variables that accounted for generalization, motivation, and variability (oscillation) in learning. One of the most important concepts in Hull’s theory was the habit strength hierarchy: for a given stimulus, an organism can respond in a number of ways. The likelihood of a specific response has a probability which can be changed by reward and is affected by various other variables (e.g. inhibition). In some respects, habit strength hierarchies resemble components of cognitive theories such as schema and production systems . Hull’s theory is meant to be a general theory of learning. Most of the research underlying the theory was done with animals, except for Hull et al. (1940) which focused on verbal learning. Miller & Dollard (1941) represents an attempt to apply the theory to a broader range of learning phenomena. As an interesting aside, Hull began his career researching hypnosis – an area that landed him in some controversy at Yale (Hull, 1933). Here is an example described by Miller & Dollard (1941): A six year old girl who is hungry and wants candy is told that there is candy hidden under one of the books in a bookcase. The girl begins to pull out books in a random manner until she finally finds the correct book (210 seconds). She is sent out of the room and a new piece of candy is hidden under the same book. In her next search, she is much more directed and finds the candy in 86 seconds. By the ninth repetition of this experiment, the girl finds the candy immediately (2 seconds). The girl exhibited a drive for the candy and looking under books represented her responses to reduce this drive. When she eventually found the correct book, this particular response was rewarded, forming a habit. On subsequent trials, the strength of this habit was increased until it became a single stimulus-response connection in this setting. Drive is essential in order for responses to occur (i.e., the student must want to learn). Stimuli and responses must be detected by the organism in order for conditioning to occur ( i.e., the student must be attentive). Response must be made in order for conditioning to occur (i.e., the student must be active). Conditioning only occurs if the reinforcement satisfied a need (i.e, the learning must satisfy the learner’s wants). Hull, C. (1933). Hypnosis and Suggestability: An Experimental Approach. New York: Appleton-Century-Crofts. Hull, C. (1943). Principles of Behavior. New York: Appleton-Century-Crofts. Hull, C. et al. (1940). Mathematico-Deductive Theory of Rote Learning. New Haven, NJ: Yale University Press. The dual coding theory proposed by Paivio attempts to give equal weight to verbal and non-verbal processing. Paivio (1986) states: “Human cognition is unique in that it has become specialized for dealing simultaneously with language and with nonverbal objects and events. Moreover, the language system is peculiar in that it deals directly with linguistic input and output (in the form of speech or writing) while at the same time serving a symbolic function with respect to nonverbal objects, events, and behaviors. Any representational theory must accommodate this dual functionality.” (p 53). The theory assumes that there are two cognitive subsystems, one specialized for the representation and processing of nonverbal objects/events (i.e., imagery), and the other specialized for dealing with language. Paivio also postulates two different types of representational units: “imagens” for mental images and “logogens” for verbal entities which he describes as being similar to “chunks” as described by Miller. Logogens are organized in terms of associations and hierarchies while imagens are organized in terms of part-whole relationships. Dual Coding theory identified three types of processing: (1) representational, the direct activation of verbal or non-verbal representations, (2) referential, the activation of the verbal system by the nonverbal system or vice-versa, and (3) associative processing, the activation of representations within the same verbal or nonverbal system. A given task may require any or all of the three kinds of processing. Dual coding theory has been applied to many cognitive phenomena including: mnemonics, problem-solving, concept learning and language. Dual coding theory accounts for the significance of spatial abilities in theories of intelligence (e.g.,Guilford). Paivio (1986) provides a dual coding explanation of bilingual processing. Clark & Paivio (1991) present dual coding theory as a general framework for educational psychology. Many experiments reported by Paivio and others support the importance of imagery in cognitive operations. In one experiment, participants saw pairs of items that differed in roundness (e.g., tomato, goblet) and were asked to indicate which member of the pair was rounder. The objects were presented as words, pictures, or word-picture pairs. The response times were slowest for word-word pairs, intermediate for the picture-word pairs, and fastest for the picture-picture pairs. Recall/recognition is enhanced by presenting information in both visual and verbal form. Paivio, A. & Begg, I. (1981). The Psychology of Language. New York: Prentice-Hall. 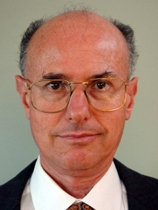 The Criterion Referenced Instruction (CRI) framework developed by Robert Mager is a comprehensive set of methods for the design and delivery of training programs. Some of the critical aspects include: (1) goal/task analysis — to identify what needs to be learned, (2) performance objectives — exact specification of the outcomes to be accomplished and how they are to be evaluated (the criterion), (3) criterion referenced testing — evaluation of learning in terms of the knowledge/skills specified in the objectives, (4) development of learning modules tied to specific objectives. Training programs developed in CRI format tend to be self-paced courses involving a variety of different media (e.g., workbooks, videotapes, small group discussions, computer-based instruction). Students learn at their own pace and take tests to determine if they have mastered a module. A course manager administers the program and helps students with problems. CRI is based upon the ideas of mastery learning and performance-oriented instruction. It also incorporates many of the ideas found in Gagne’s theory of learning (e.g., task hierarchies, objectives) and is compatible with most theories of adult learning (e.g., Knowles, Rogers) because of its emphasis on learner initiative and self-management. Criterion referenced instruction is applicable to any form of learning; however, it has been applied most extensively in technical training including troubleshooting. CRI has been applied to a workshop that Mager gives about CRI. The workshop consists of a series of modules (mostly print materials) with well-defined objectives, practice exercises, and mastery tests. Participants have some freedom to choose the order in which they complete the modules, provided they satisfy the prerequisites shown on the course map. For example, in one module on Objectives, the student must learn the three primary components of an objective, recognize correctly formed objectives (practice exercises), and be able to draft correct objectives for specified tasks. This module has one pre-requisite and is the pre-requisite to most other modules in the course. Instructional objectives are derived from job performance and reflect the competencies (knowledge/skills) that need to be learned. Students study and practice only those skills not yet mastered to the level required by the objectives. Students should receive repeated practice in skills that are used often or are difficult to learn. Students are free to sequence their own instruction within the constraints imposed by the pre-requisites and progress is controlled by their own competence (mastery of objectives). Mager, R. (1975). Preparing Instructional Objectives (2nd Edition). Belmont, CA: Lake Publishing Co.
Mager, R. & Pipe, P. (1984). Analyzing Performance Problems, or You Really Oughta Wanna (2nd Edition). Belmont, CA: Lake Publishing Co.
Mager, R. (1988). Making Instruction Work. Belmont, CA: Lake Publishing Co. 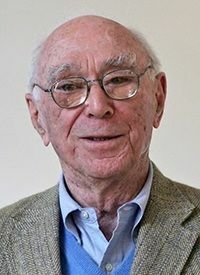 Along with Kohler and Koffka, Max Wertheimer was one of the principal proponents of Gestalt theory which emphasized higher-order cognitive processes in the midst of behaviorism. The focus of Gestalt theory was the idea of “grouping”, i.e., characteristics of stimuli cause us to structure or interpret a visual field or problem in a certain way (Wertheimer, 1922). The primary factors that determine grouping were: (1) proximity – elements tend to be grouped together according to their nearness, (2) similarity – items similar in some respect tend to be grouped together, (3) closure – items are grouped together if they tend to complete some entity, and (4) simplicity – items will be organized into simple figures according to symmetry, regularity, and smoothness. These factors were called the laws of organization and were explained in the context of perception and problem-solving. Wertheimer was especially concerned with problem-solving. Werthiemer (1959) provides a Gestalt interpretation of problem-solving episodes of famous scientists (e.g., Galileo, Einstein) as well as children presented with mathematical problems. The essence of successful problem-solving behavior according to Wertheimer is being able to see the overall structure of the problem: “A certain region in the field becomes crucial, is focused; but it does not become isolated. A new, deeper structural view of the situation develops, involving changes in functional meaning, the grouping, etc. of the items. Directed by what is required by the structure of a situation for a crucial region, one is led to a reasonable prediction, which like the other parts of the structure, calls for verification, direct or indirect. Two directions are involved: getting a whole consistent picture, and seeing what the structure of the whole requires for the parts.” (p 212). Gestalt theory applies to all aspects of human learning, although it applies most directly to perception and problem-solving. The work of Gibson was strongly influenced by Gestalt theory. The classic example of Gestalt principles provided by Wertheimer is children finding the area of parallelograms. As long as the parallelograms are regular figures, a standard procedure can be applied (making lines perpendicular from the corners of the base). However, if a parallelogram with a novel shape or orientation is provided, the standard procedure will not work and children are forced to solve the problem by understanding the true structure of a parallelogram (i.e., the figure can be bisected anywhere if the ends are joined). The learner should be encouraged to discover the underlying nature of a topic or problem (i.e., the relationship among the elements). Instruction should be based upon the laws of organization: proximity, closure, similarity and simplicity. Wertheimer, M. (1923). Laws of organization in perceptual forms. First published as Untersuchungen zur Lehre von der Gestalt II, in Psycologische Forschung, 4, 301-350. Translation published in Ellis, W. (1938). A source book of Gestalt psychology (pp. 71-88). The triarchic theory of intelligence consists of three subtheories: (i) the componential subtheory which outlines the structures and mechanisms that underlie intelligent behavior categorized as metacognitive, performance, or knowlege acquistion components , (ii) the experiential subtheory that proposes intelligent behavior be interpreted along a continuum of experience from novel to highly familar tasks/situations, (iii) the contextual subtheory which specifies that intelligent behavior is defined by the sociocultural context in which it takes place and involves adaptation to the environment, selection of better environments, and shaping of the present environment. According to Sternberg, a complete explanation of intelligence entails the interaction of these three subtheories. The componential subtheory specifies the potential set of mental processes that underlies behavior (i.e., how the behavior is generated) while the contextual subtheory relates intelligence to the external world in terms of what behaviors are intelligent and where. The experiential subtheory addresses the relationship between the behavior in a given task/situation and the amount of experience of the individual in that task/situation. The componential subtheory is the most developed aspect of the triarchic theory and is based upon Sternberg (1977) which presents an information processing perspective for abilities. One of the most fundamental components according to Sternberg’s research are the metacognition or “executive” processes that control the strategies and tactics used in intelligent behavior. The triarchic theory is a general theory of human intelligence. 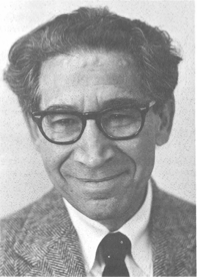 Much of Sternberg’s early research focused on analogies and syllogistic reasoning. 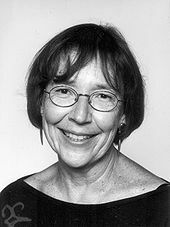 Sternberg has used the theory to explain exceptional intelligence (gifted and retardation) in children and also to critique existing intelligence tests. Sternberg (1983) outlines the implications of the theory for skill training. Later work examines topics such as learning styles (Sternberg, 1997) and creativity (Sternberg, 1999). Sternberg (1985) describes the results of various analogy experiments that support the triarchic theory. For example, in a study that involved adults and children solving simple analogies, he found that the youngest children solved the problems differently and theorized that this was because they had not yet developed the ability to discern higher order relations. 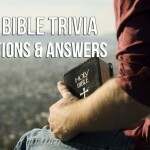 In another study of analogies with children at a Jewish school, he discovered a systematic bias towards selection of the first two answers on the right and suggested that this could be accounted for by the right-to-left reading pattern of Hebrew. A training program should provide links between the training and real-world behavior. A training program should provide expilicit instruction in both executive and non-executive information processing and interactions between the two. Training programs should actively encourage individuals to manifest their differences in strategies and styles. 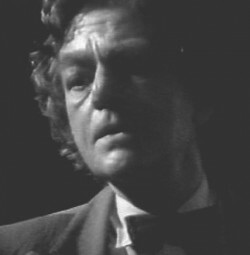 Sternberg, R.J. (1977). Intelligence, Information Processing, and Analogical Reasoning. Hillsdale, NJ: Erlbaum. 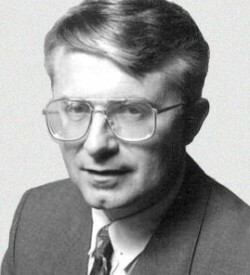 Sternberg, R.J. (1983). Criteria for intellectual skills training. Educational Researcher,12, 6-12. Minimalist theory emphasizes the necessity to build upon the learner’s experience (c.f., Knowles , Rogers ). Carroll (1990) states: “Adult learners are not blank slates; they don’t have funnels in their heads; they have little patience for being treated as “don’t knows”… New users are always learning computer methods in the context of specific preexisting goals and expectations.” (p. 11) Carroll also identifies the roots of minimalism in the constructivism of Bruner and Piaget. According to elaboration theory, instruction should be organized in increasing order of complexity for optimal learning. For example, when teaching a procedural task, the simplest version of the task is presented first; subsequent lessons present additional versions until the full range of tasks are taught. In each lesson, the learner should be reminded of all versions taught so far (summary/synthesis). A key idea of elaboration theory is that the learner needs to develop a meaningful context into which subsequent ideas and skills can be assimilated. Elaboration theory proposes seven major strategy components: (1) an elaborative sequence, (2) learning prerequisite sequences, (3) summary, (4) synthesis, (5) analogies, (6) cognitive strategies, and (7) learner control. The first component is the most critical as far as elaboration theory is concerned. The elaborative sequence is defined as a simple to complex sequence in which the first lesson epitomizes (rather than summarize or abstract) the ideas and skills that follow. Epitomizing should be done on the basis of a single type of content (concepts, procedures, principles), although two or more types may be elaborated simultaneously, and should involve the learning of just a few fundamental or representative ideas or skills at the application level. It is claimed that the elaboration approach results in the formation of more stable cognitive structures and therefore better retention and transfer, increased learner motivation through the creation of meaningful learning contexts, and the provision of information about the content that allows informed learner control. Elaboration theory is an extension of the work of Ausubel (advance organizers) and Bruner (spiral curriculum). Elaboration theory applies to the design of instruction for the cognitive domain. The theoretical framework has been applied to a number of settings in higher education and training (English & Reigeluth, 1996; Reigeluth, 1992). Hoffman (1997) considers the relationship between elaboration theory and hypermedia. a) An increase in price causes an incease in the quantity supplied and a decrease in the quantity demanded. b) A decrease in price causes a decrease in the quantity supplied and an increase in the quantity demanded. Practically all principles of economics can be viewed as elaborations of the law of suppy and demand including monopoly, regulation, price fixing, planned economies. Instruction will be more effective if it follows an elaboration strategy, i.e., the use of epitomes containing motivators, analogies, summaries, and syntheses. There are four types of relationships important in the design of instruction: conceptual, procedural, theoretical and learning pre-requisites. English, R.E. & Reigeluth, C.M. (1996). Formative research on sequencing instruction with the elaboration theory. Educational Technology Research & Development, 44(1), 23-42. Reigeluth, C. & Stein, F. (1983). The elaboration theory of instruction. In C. Reigeluth (ed. ), Instructional Design Theories and Models. Hillsdale, NJ: Erlbaum Associates. Reigeluth, C. (1987). Lesson blueprints based upon the elaboration theory of instruction. In C. Reigeluth (ed. ), Instructional Design Theories in Action. Hillsdale, NJ: Erlbaum Associates. Reigeluth, C. (1992). Elaborating the elaboration theory. Educational Technology Research & Development, 40(3), 80-86. The central focus of Schank’s theory has been the structure of knowledge, especially in the context of language understanding. Schank (1975) outlined contextual dependency theory which deals with the representation of meaning in sentences. Building upon this framework, Schank & Abelson (1977) introduced the concepts of scripts, plans and themes to handle story-level understanding. Later work (e.g., Schank, 1982,1986) elaborated the theory to encompass other aspects of cognition. The key element of conceptual dependency theory is the idea that all conceptualizations can be represented in terms of a small number of primative acts performed by an actor on an object. For example, the concept, “John read a book” could be represented as: John MTRANS (information) to LTM from book, where MTRANS is the primative act of mental transfer. In Schank’s theory, all memory is episodic, i.e., organized around personal experiences rather than semantic categories. Generalized episodes are called scripts — specific memories are stored as pointers to scripts plus any unique events for a particular episode. Scripts allow individuals to make inferences needed for understanding by filling in missing information (i.e., schema). Schank (1986) uses script theory as the basis for a dynamic model of memory. This model suggests that events are understood in terms of scripts, plans and other knowledges structures as well as relevant previous experiences. An important aspect of dynamic memory are explanatory processes (XPs) that represent sterotyped answers to events that involve analomies or unusual events. Schank proposes that XPs are a critical mechanism of creativity . Script theory is primarily intended to explain language processing and higher thinking skills. A variety of computer programs have been developed to demonstrate the theory. Schank (1991) applies his theoretical framework to story telling and the development of intelligent tutors. Shank & Cleary (1995) describe the application of these ideas to educational software. There are many variations possible on this general script having to do with different types of restaurants or procedures. For example, the script above assumes that the waiter takes the money; in some restaurants, the check is paid to a cashier. Such variations are opportunities for misunderstandings or incorrect inferences. Conceptualization is defined as an act or doing something to an object in a direction. All conceptualizations can be analyzed in terms of a small number of primative acts. All memory is episodic and organized in terms of scripts. Scripts allow individuals to make inferences and hence understand verbal/written discourse. Higher level expectations are created by goals and plans. The theory is largely concerned with transfer of knowledge and skills beyond their initial learning situation. For this reason, emphasis is placed upon the presentation of information from multiple perspectives and use of many case studies that present diverse examples. The theory also asserts that effective learning is context-dependent, so instruction needs to be very specific. In addition, the theory stresses the importance of constructed knowledge; learners must be given an opportunity to develop their own representations of information in order to properly learn. Cognitive flexibility theory builds upon other constructivist theories and is related to the work of Salomon in terms of media and learning interaction. Cognitive flexibility theory is especially formulated to support the use of interactive technology (e.g., videodisc, hypertext). Its primary applications have been literary comprehension, history, biology and medicine. Jonassen, Ambruso & Olesen (1992) describe an application of cognitive flexibility theory to the design of a hypertext program on transfusion medicine. The program provides a number of different clinical cases which students must diagnose and treat using various sources of information available (including advice from experts). The learning environment presents multiple perspectives on the content, is complex and ill-defined, and emphasizes the construction of knowledge by the learner. Learning activities must provide multiple representations of content. Instructional materials should avoid oversimplifying the content domain and support context-dependent knowledge. Instruction should be case-based and emphasize knowledge construction, not transmission of information. Knowledge sources should be highly interconnected rather than compartmentalized. Tolman (1932) proposed five types of learning: (1) approach learning, (2) escape learning, (3) avoidance learning, (4) choice-point learning, and (5) latent learning. All forms of learning depend upon means-end readiness, i.e., goal-oriented behavior, mediated by expectations, perceptions, representations, and other internal or environmental variables. 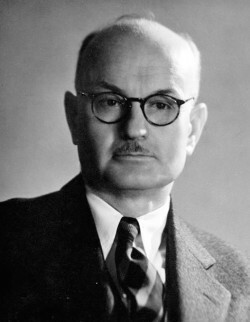 Tolman’s version of behaviorism emphasized the relationships between stimuli rather than stimulus-response (Tolman, 1922). According to Tolman, a new stimulus (the sign) becomes associated with already meaningful stimuli (the significate) through a series of pairings; there was no need for reinforcement in order to establish learning. For this reason, Tolman’s theory was closer to the connectionist framework of Thorndike than the drive reduction theory of Hull or other behaviorists. Although Tolman intended his theory to apply to human learning, almost all of his research was done with rats and mazes. Tolman (1942) examines motivation towards war, but this work is not directly related to his learning theory. Much of Tolman’s research was done in the context of place learning. In the most famous experiments, one group of rats was placed at random starting locations in a maze but the food was always in the same location. Another group of rats had the food placed in different locations which always required exactly the same pattern of turns from their starting location. The group that had the food in the same location performed much better than the other group, supposedly demonstrating that they had learned the location rather than a specific sequence of turns. Learning is always purposive and goal-directed. Organisms will select the shortest or easiest path to achieve a goal. Tolman, E.C. (1922). A new formula for behaviorism. Psychological Review, 29, 44-53. Tolman, E.C. (1942). Drives Towards War. New York: Appleton-Century-Crofts. Tolman, E.C. (1948). Cognitive maps in rats and men. Psychological Review, 55, 189-208. Anchored instruction is a major paradigm for technology-based learning that has been developed by the Cognition & Technology Group at Vanderbilt (CTGV) under the leadership of John Bransford. 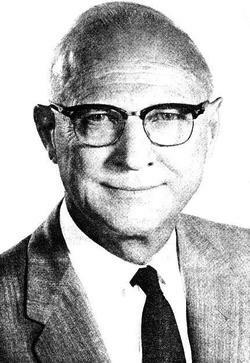 While many people have contributed to the theory and research of anchored instruction, Bransford is the principal spokesperson and hence the theory is attributed to him. The initial focus of the work was on the development of interactive videodisc tools that encouraged students and teachers to pose and solve complex, realistic problems. The video materials serve as “anchors” (macro-contexts) for all subsequent learning and instruction. As explained by CTGV (1993, p52): “The design of these anchors was quite different from the design of videos that were typically used in education…our goal was to create interesting, realistic contexts that encouraged the active construction of knowledge by learners. Our anchors were stories rather than lectures and were designed to be explored by students and teachers. ” The use of interactive videodisc technology makes it possible for students to easily explore the content. Anchored instruction is close ly related to the situated learning framework (see CTGV, 1990, 1993) and also to the Cognitive Flexibility theory in its emphasis on the use of technology-based learning. The primary application of anchored instruction has been to elementary reading, language arts and mathematics skills. The CLGV has developed a set of interactive videodisc programs called the “Jasper Woodbury Problem Solving Series”. These programs involve adventures in which mathematical concepts are used to solve problems . However, the anchored instruction paradigm is based upon a general model of problem-solving (Bransford & Stein, 1993). One of the early anchored instruction activities involved the use of the film, “Young Sherlock Holmes” in interactive videodisc form. Students were asked to examine the film in terms of causal connections, motives of the characters, and authenticity of the settings in order to understand the nature of life in Victorian England. The film provides the anchor for an understanding of story-telling and a particular historical era. Learning and teaching activities should be designed around a “anchor” which should be some sort of case-study or problem situation. Curriculum materials should allow exploration by the learner (e.g., interactive videodisc programs). Bransford, J.D. et al. (1990). Anchored instruction: Why we need it and how technology can help. In D. Nix & R. Sprio (Eds), Cognition, education and multimedia. Hillsdale, NJ: Erlbaum Associates. CTGV (1993). Anchored instruction and situated cognition revisted. Educational Technology, 33 (3), 52- 70.